Our hotel is less than a mile from Starr Pass Golf Club, a 27-hole Arnold Palmer Signature Golf facility with a double-loaded driving range, rejuvenating 20,000-square-foot clubhouse and top-quality golf shop. Perfect your game while admiring the backdrop of natural mountain ranges. The Starr Pass Golf Club legend began more than 120 years ago when Richard Starr crafted a trail through the rugged wilderness of the Tucson Mountains. Today, Coyote’s sixth fairway marks this trail and has earned the honor of being the signature hole at Starr Pass. The Starr Pass Golf Club site was personally selected by PGA Tour Commissioner Dean Beaman. When he saw the site for the first time, he was instantly inspired by the natural beauty and rugged terrain. With the help of renowned golf course designer Bob Cupp and PGA Tour professional Craig Stadler, they created a world-class TPC golf facility. Starr Pass Golf Club hosted the annual Tucson Open between 1987 and 1996. During that time, the third (#3 Rattler) and fifth holes (#5 Rattler) were rated two of the most difficult on the PGA Tour, with the average score for 18 holes ranking among the highest on tour as well. Many rooms and suites in our Tucson resort feature private patios or balconies with stunning views. · Luxurious baths boast granite counter tops, separate tubs, walk-in showers, plush robes and more. · Décor is contemporary, yet evocative of the desert landscape and Tucson's rich history. · All rooms and suites feature flat-screen TV, safe, mini-bar and high-speed Internet access. · Sleep soundly with JW Marriott's exclusive Revive bedding, with down comforters and designer duvets. · Business guests stay productive with spacious desks, wireless speaker phones and in-room Internet. Starr Pass offers weekly ACTIVITIES provided by Jodie our Activity Director. Dining is redefined at our award-winning Tucson, AZ restaurant. Chef Melissa Kelly creates culinary using organic ingredients grown on the resort, complemented by a dazzling list of wines and decadent desserts. Local. Fresh. Modern. Our award-winning Tucson, AZ restaurant features fine-dining with a distinctly Southwestern blend of Mexican, Native American, and Cowboy influences. Inspired entrées are complemented by an extensive wine list. And don’t miss the Breakfast Buffet! Tucson BBQ restaurants don’t get any better than this! Featuring competition-style house-made sauces and rubs, the award-winning Catalina Barbeque Co. serves succulent smoked meats and other Southwestern specialties. Open for lunch and dinner daily. Indulge in the wide variety of tequilas and desert-inspired cocktails offered here. Sunset and evening views from the outdoor patio are not to be missed, and the festive daily Tequila Toast at 5:30 p.m. is a Starr Pass tradition. You can be poolside and casual and still enjoy fine dining. Plunge restaurant serves delicious salads, sandwiches, tacos, wraps and more. We specialize in cool cocktails, and we also feature a kids menu with a nice variety of quick-served items. Even deep in the desert, we have your favorite cappuccinos, lattes, macchiatos, espressos, frappuccinos, mochas, chais, muffins, scones, danishes, cakes and more. Or, if you prefer, just a good ole cup of coffee! Tucked away in the spectacular desert beauty of Arizona, in the foothills near Tucson, Starr Pass Golf Suites is a Southwest vacation jewel. The endlessly changing vistas of natural beauty surrounding this inviting Tucson golf resort provide the stunning backdrop for a perfect mix of comfort and casual elegance. 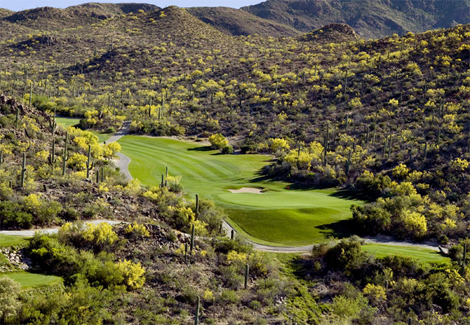 At the heart of the resort community is the celebrated Starr Pass Golf Course. 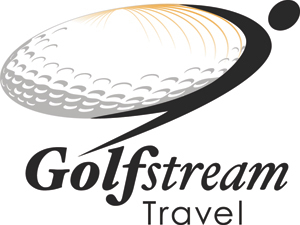 Its desert style layout and dramatic terrain challenges golfers of all skill levels. The J. W. Starr Pass Resort and spa added nine additional holes, making it a 27-hole Arnold Palmer Signature Golf Facility. But Starr Pass Golf Suites isn't just for golfers. It's also perfect for a family getaway, hiking, or those seeking to enjoy the culture and adventure of the old southwest. 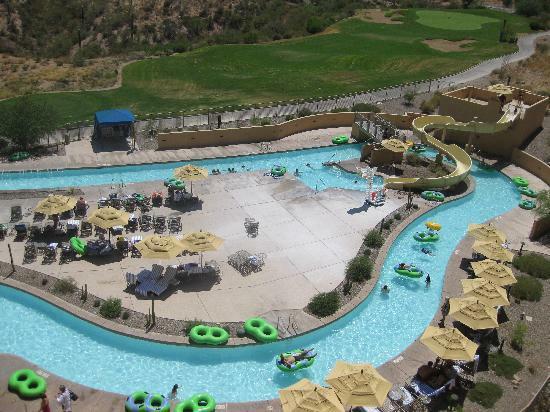 A peaceful location along the wildlife corridor adjacent to the 20,000-acre Tucson Mountain Park makes it ideal for those desiring a relaxing escape with a touch of OUTDOOR ADVENTURE Starr Pass is also located only minutes away from the Arizona Sonoran Desert Museum. Low light restrictions also make star gazing a particularly rewarding pursuit due to the close proximity of Kitt Peak Observatory. The magnificent views from your spacious casita include natural desert landscaping drenched in 350 days of sunshine per year. A 75-foot heated Olympic swimming pool, whirlpool and fitness center are just the beginnings of a full array of amenities. In addition to nearby horseback riding, some of the Southwest's most picturesque hiking can be found minutes away at Saguaro National Park and Sabino Canyon. Mexico and The Village of Tubac are also within driving distance, offering some of the most fascinating history and sights of the Southwest.